Today is known in the Irish Language as Lá Fhéile Mór Naomh Muire san Fhómhar, which is to day, the Great Feast Day of Our Lady in Autumn (or perhaps in Harvest Time). 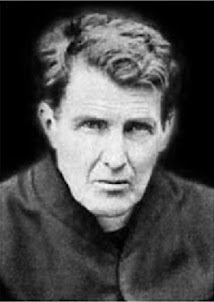 During the long centuries of persecution, it was necessary for Irishmen to flee from their own country to preserve their Faith and their Culture, a Catholic Gaelic Heritage that was so intimately interwoven that the loss of Christian Gaelic Culture, they felt, would represent the loss of one of the Providential gifts to mankind and to the Church. They fled abroad to Colleges such as Louvain and Rome, which still maintain links with Ireland to this day. The character of these clerics was not uniform, of course. Many became infected with Jansenism. 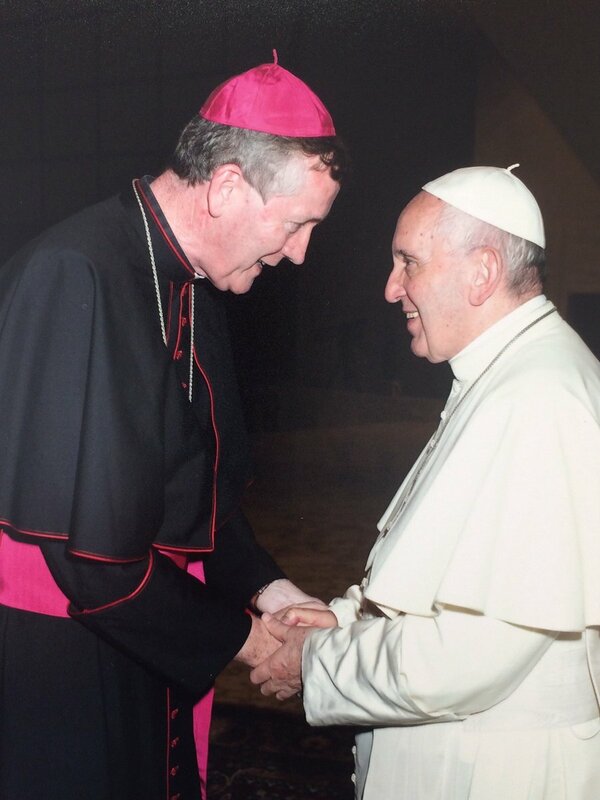 Discipline was a problem, especially given that one custom was for persecuted Bishops in Ireland to ordain men before sending them to the Continental Seminaries, so that they could support themselves by means of Mass stipends. One Priest who sought to root out this practice was Fr. Andrew Dunlevy (1680-1746) of the Collège des Lombards, Paris. 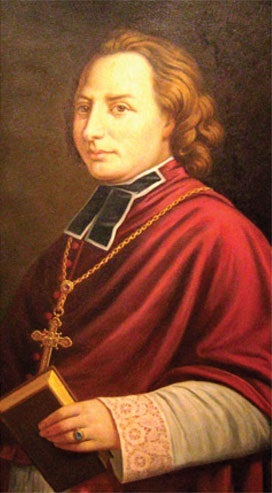 In 1742, he published An Teagasg Críosduidhe do reir ceasada agus freagartha (The Cathecism or Christian Doctrine by way of question and answer) in order to supply the dire wants of the faithful back in Ireland, who were deprived of Priests, Sacraments, Catholic education and any form of Church organisation under the bitter persecution of English Heretics. An appendix contained "‘an abridgement of the Christian doctrine in rhymed Irish, composed upwards of an Age ago by the zealous and learned F. Bonaventure Ó hEoghusa of the Order of S. Francis; and also with the elements of the Irish language, in favour of such as would fain learn to read it; and thereby be useful to their Neighbour." The author mourns that Irish is "on the Brink of Utter Decay, to the great dishonour and shame of the Natives, who shall always pass every where for Irishmen, Although Irishmen without Irish is an incongruity, and a great bull. Besides, the Irish Language is undeniably a very ancient Mother-Language, and one of the smoothest in Europe, no way abounding in monosyllables, nor clogged with rugged consonants ... And there is still extant a great number of old valuable Irish manuscripts, both in publick and private hands, which would, if translated and published, give great light into antiquities of the Country, and furnish some able pen with materials enough, to write a compleat history of the Kingdom; What a discredit then must it be to the whole Nation, to let such a Language go to wrack ..."
In one section of Fr. 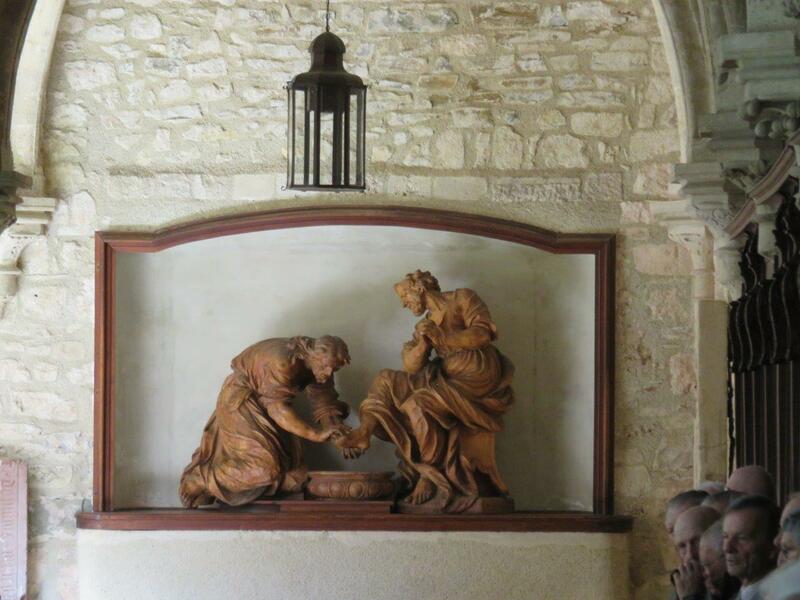 San scrioptúir, fós, cáit ‘nar légh? Where did you read this in Scripture? 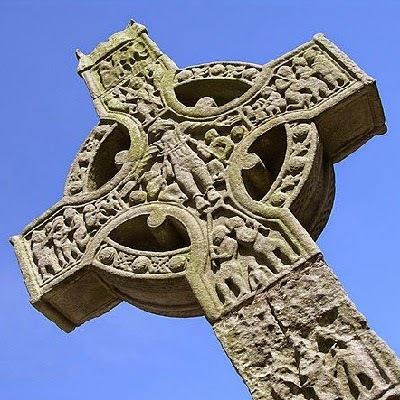 May the Gaels of today be worthy of their ancestors and their magnificent Gaelic and Catholic Heritage! 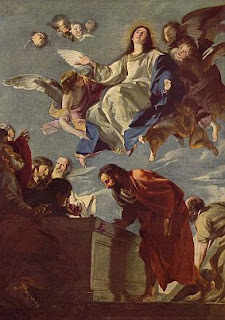 *The painting in this post is the Assumption, c. 1655, by Matteo Cerezo (1635-1685) that is today housed in the del Prado in Madrid, where a good deal of his work is to be found.